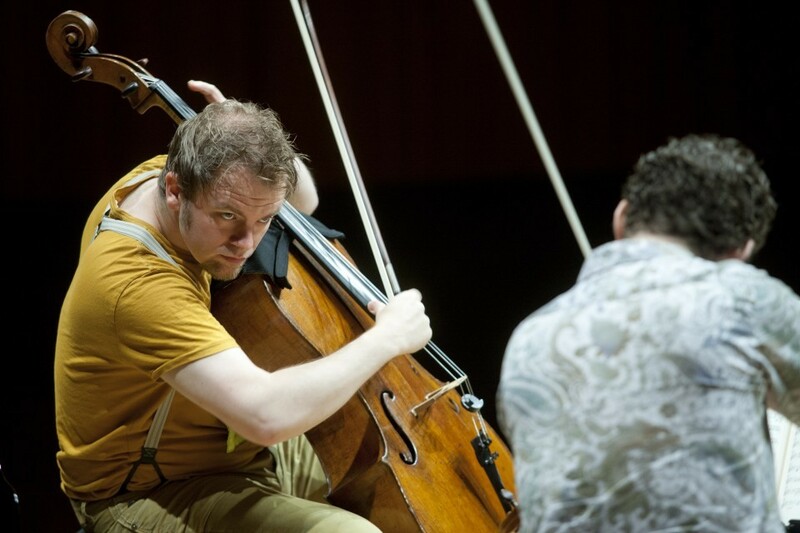 Tomas Djupsjöbacka's background is in chamber music, and he has become known as a founder member of the Meta4 String Quartet and the only permanent Finnish member of the European Chamber Orchestra. In recent years he has also collaborated with artists in other fields at the Helsinki Festival, working with the multimedia artist Marita Liulia and involved in Helsinki's Cirko Festival. Djupsjöbacka is now finishing his conducting studies at the Sibelius Academy. He has conducted the Helsinki Philharmonic, the Turku Philharmonic and the Central Ostrobothnian Chamber Orchestra. At the Helsinki Festival in 2015 he conducted the Avanti! chamber ensemble and the Colin Currie percussion group performing music by Reich. Forthcoming appearances as conductor include those with the Tapiola Sinfonietta and Avanti! again and his debut with the Finnish Radio Symphony Orchestra in the autumn this year. Tomas Djupsjöbacka and his wife, the violinist Matilda Kaul, are Artistic Directors of the Brinkhall Music Festival.